Finally, a REAL Claymore for all those modern Scots who long to possess a functional battle ready Highlander sword! Through history, tales have been told of mighty Scotsmen, hearty and ready to stand for right against seemingly unbeatable odds. These strong, kilt clad men from the Highlands downed many a formidable foe with one swing from a mighty sword. This sword of Scottish fame was the battle ready Great Claymore sword. 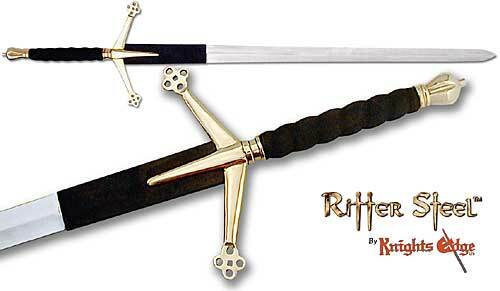 We have bought 6 of these swords over the last 16 years as each one of 6 brother have turned 50. The last of which we will celebrate this year 2018. These swords are works of art and will grow in legend as they are passed on! I have never been more pleased with a purchase. I got this as a gift for my brother, and it is a beautiful representation of a scottish claymore.